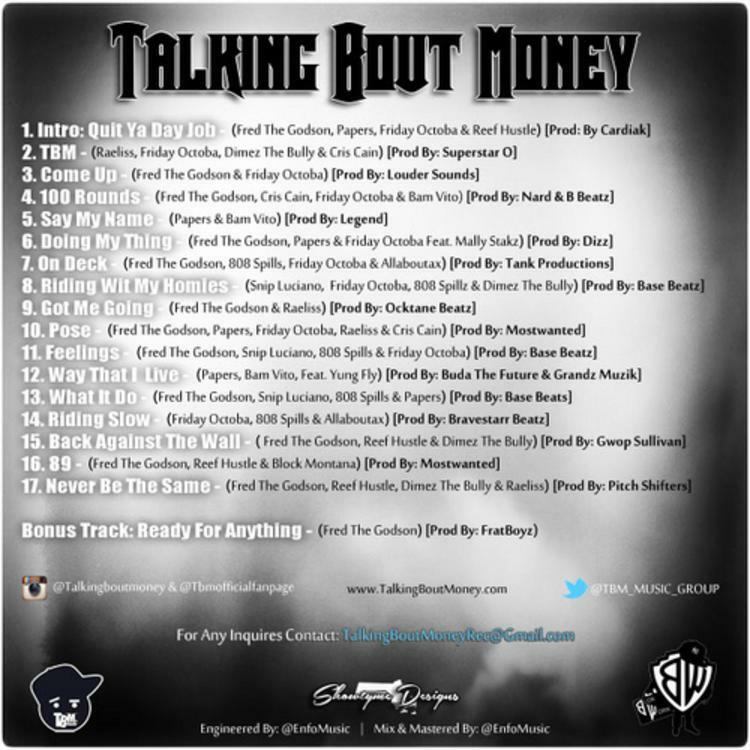 Bump Talking Bout Money Vol. 1, the latest mixtape from Fred The Godson, which dropped on Tuesday, May 28th, 2013. 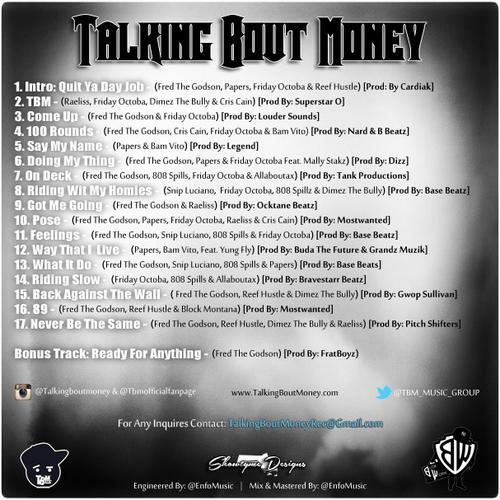 Fred The Godson's horizons are broadening with each new release, and Talking Bout Money Vol. 1 is no exception. It's a worthy addition to a catalogue that has seen much growth since Fred The Godson stepped foot in the rap game. We're looking forward to hearing more. The following artists are featured on the project: Friday Octoba, Papers, Reef Hustle, Raeliss, Cris Cain, Dimez The Bully, Bam Vito, Mally Stakz, 808 Spills, Ax, Snippy, Dimez The, Yung Fly, Snippy Papers, Block Montana. Have you heard Fred The Godson's Intro, featuring Friday Octoba, Papers & Reef Hustle? 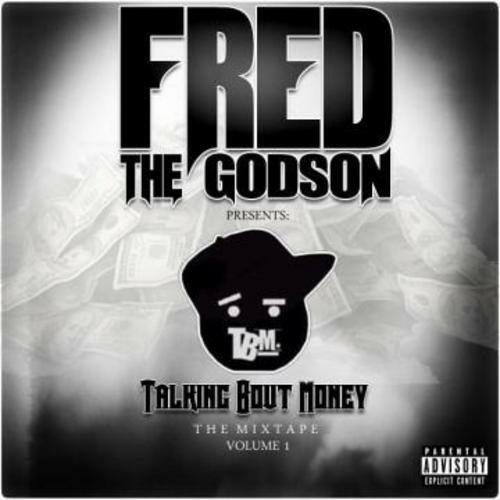 If you dig this, visit Fred The Godson's profile for the latest info, news, songs, and mixtapes. Remember to follow Fred The Godson on Facebook and Twitter.